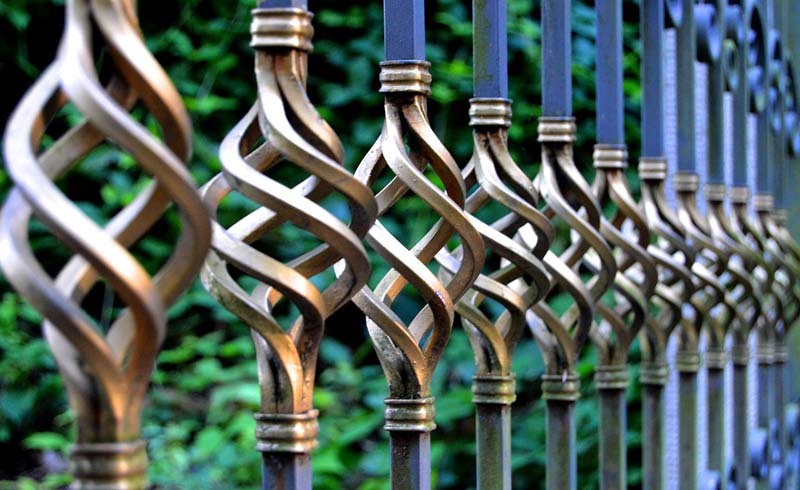 While most homeowners regularly tend to their lawns and landscaping, they often give short shrift to the metal elements in their yard—gates, railings, chairs and tables. Follow our tips for keeping these items clean and rust-free with a little TLC. Enter the yard of most homes in America and somewhere among the trees, shrubs, and grass, you’re bound to find metal. 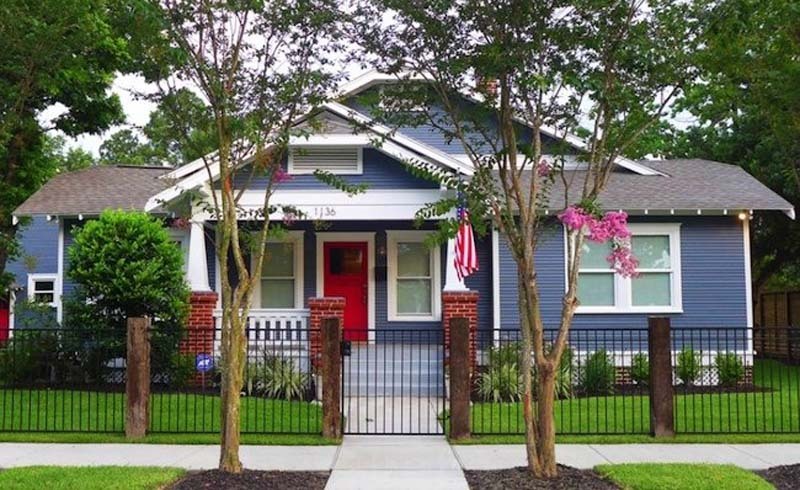 Patio furniture, barbecue grills, handrails, fences, and gates—these are only some of the metal features common to the spaces outside our front doors. Thanks to metal’s well-deserved reputation for durability, we don’t often think about the material’s maintenance requirements. But when it comes to preventing rust—the mortal enemy of metal—homeowners must intervene from time to time to ensure that their outdoor metals keep looking and performing their very best. Follow these simple guidelines to help iron, steel, and other metals enjoy the longest life possible. Once precipitation and harsh weather have conspired to compromise and chip away at the coating on metal, then it’s only a matter of time before rust makes an appearance. Choosing your metals wisely is the best prevention. You’ll get the greatest longevity from products that have baked-on enamel or powder-coated surfaces. In comparison to less expensive painted or varnished metal, these coated products are far less vulnerable to peeling and flaking. Although they’re more expensive initially, metal items with superior coatings are worth the cost in the long run because they truly last for years. • What a difference cleanliness makes! At least twice each year, give your metal tables and chairs a thorough once-over. A mixture of warm water and liquid detergent ought to do the trick. Apply the solution with a sponge; grab an old toothbrush to scrub any hard-to-reach areas. Use a hose to rinse away all traces of the detergent, then dry the metal with a rag, or on a good day, leave it to air-dry in the sun. • Take pains to avoid damaging the metal’s coating. A simple action like clinking two metal surfaces together can chip one or both pieces, and dragging a chair or table leg may result in scrapes that leave the furniture vulnerable to rust. Take precautions. Raise the furniture up from the ground when you’re moving it, and at the end of the season, when you’re storing away your furniture, use old towels to prevent the pieces from hitting each other. • If you live somewhere with monsoon summers, harsh winters, or other types of severe weather, consider bringing your outdoor metal furniture indoors, whether it’s for short-term shelter whenever a violent storm threatens, or for a season-long hibernation when the temperatures drop. No storage space in your basement, crawl space, or shed? A reasonable alternative is to cover the furniture with a breathable fabric for the duration of the foul weather. Despite your best efforts, the metal on your property may begin to show signs of wear. Don’t wait for a small problem to get more serious. When you come across a small patch of rust, thoroughly clean the area (as described above), except work fine-grit sandpaper into the procedure. Lightly sand the rust away, then wipe off all residual grit before touching up the surface. Use metal primer first; once it has dried completely, follow up with a paint that’s specially formulated for metal. More extensive damage demands more time and effort, and may require refinishing the metal. Here, preparation is key. Before you can begin a refinishing project, you’ve got to get down to bare metal—which is easier said than done. Use a wire brush—or to make quicker, easier work of it, use the wire wheel attachment on your power drill—and proceed to scrape away the old coating. Pay special attention to any crevices or scrolls that may be part of the design. Once you’re done scraping, wipe down the metal with a damp cloth (or hose it off), then wait for everything to dry before you apply metal primer and metal paint.